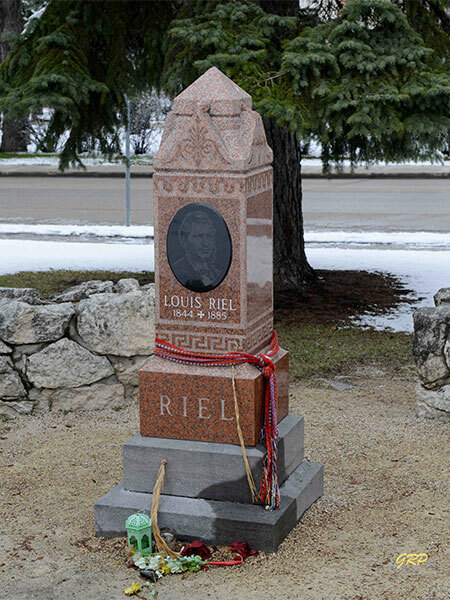 Western Canada’s oldest Catholic cemetery, the St. Boniface Cathedral Cemetery, is the final resting place for Louis Riel and many of the West’s first Catholic settlers, key figures and missionaries. 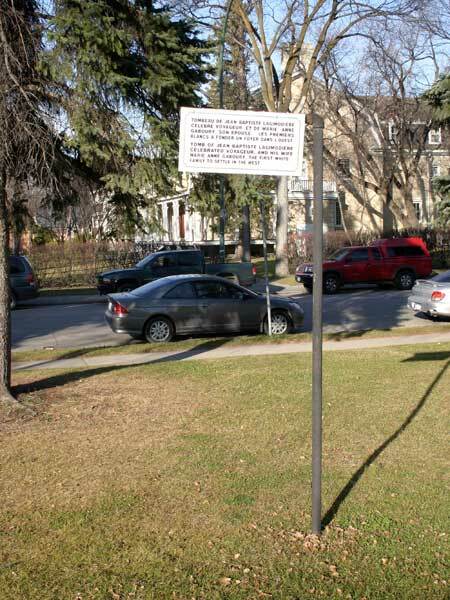 A marker on the north side of the cemetery denotes the burial location of voyageur J.-B. Lagimodière and his wife Marie Anne Gaboury. St. Boniface Cathedral, Manitoba Historic Resources Branch. This page was prepared by Gordon Goldsborough and George Penner.